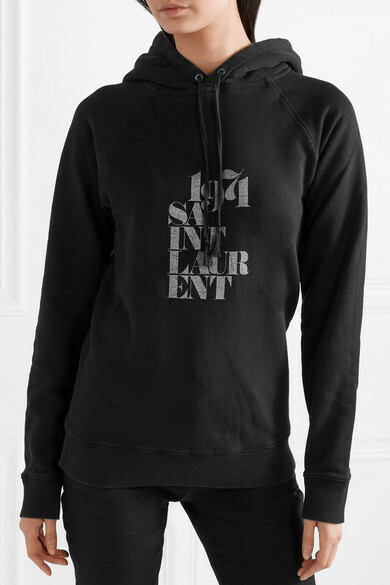 Saint Laurent's hoodie is an easy choice for when you just want to feel cozy - think lounging at the weekend or running errands. 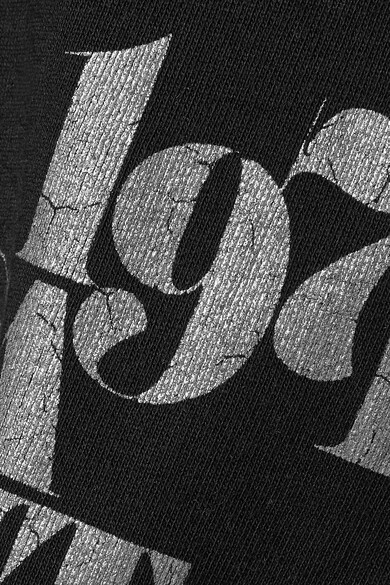 It's made from soft black cotton-jersey and printed with the label's logo in a playful silver font. 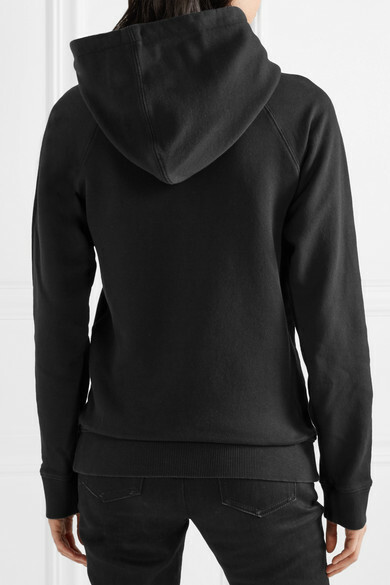 Layer it underneath a coat on chilly days. Shown here with: Saint Laurent Coat, Saint Laurent Jeans, Saint Laurent Shoulder bag, Saint Laurent Ankle boots.